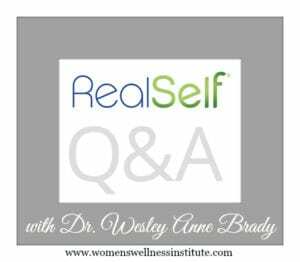 Labiaplasty Restrictions | Wesley Anne Brady, M.D. So you’re interested in scheduling Labiaplasty surgery, but you’ve got a summer vacation planned and don’t want to miss out? Dr. Brady and the Women’s Wellness Institute of Dallas is here to answer any questions you might have about your recovery and/or post surgery restrictions. You should feel confident in not only the surgeon, but the recovery and schedule that you choose for surgery as well. Call our surgery coordinator, Jessica Lusk at 214-442-0055 if you’d still like some more information or have specific questions about recovery. You can also visit our website’s FAQ section for some of the best and most up to date information about cosmetic vaginal surgery. Side note: If you’re not a member of RealSelf, it’s a great place to research physicians, ask questions about surgeries, see before and after photos and so much more! Question: After getting a labiaplasty, how long until you can go in water? I am going away in 5 weeks to Punta Cana and plan to go in the ocean and pool, will I be okay? I also might go on excusrions for horseback riding and zip lining. I need to know if I’ll be healed in time. Healing after a labiaplasty usually takes six weeks so if you’re just now getting your labiaplasty, you likely won’t be healed in time. Bacteria in the ocean or pool can irritate your labia or cause infection, and horseback riding may cause tearing and bleeding. You should speak with your surgeon about your travel plans. I would hate for you to endanger your final aesthetic results, especially if you are close to having your restrictions lifted. Cheers!